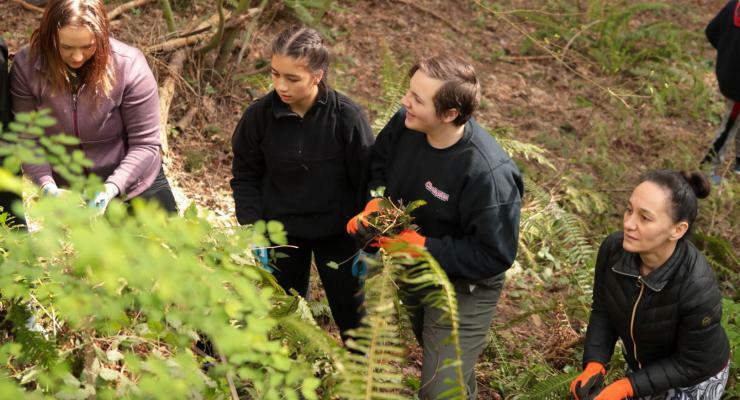 April 2018-Volunteers worked to rid the Terwilliger Parkway of invasive plants. In celebration of Earth Day weekend, over 30 community volunteers worked tirelessly to rid the Parkway of those darn invasive plants. Special thanks to members of the Ismaili Community and the Riverdale High School chapter of the National Honor Society, as well as the rest of our dedicated volunteers. Check out the photos taken by our favorite photographer Peter DeCrescenzo.